Location, Location, Location | MAKE YOUR OWN BREAK! This entry was posted in Acting, Film Production, Low Budget Production, Performance Art, Performing, Producing 101, Producing Advice, Theatre Production, Uncategorized, Writing and tagged Acting, Art, Creative Process, Director, Entertainment, Film Festivals, Film Production, Film Shoot, Fringe Festivals, Hollywood, Independent Films, Los Angeles, Low Budget Production, New York City, Performing Arts, Producing CReative Arts, Short Films, sound design. Bookmark the permalink. 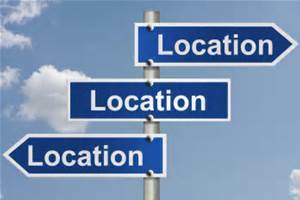 Location is very important for your film projects. As an Associate Producer, I must rely on the production crew to carry out the tasks for interior and exterior shoots. I operate with a Democratic approach to get ideas and input from the grip to the Producer. Pre-Production should have taken care of the business for permits, security, power, insurance, etc. Also, i would make application for funding, In the NW Region under the jurisdiction of Sag-Aftra with funding sources, i.e., Kick Starter, Washington Film Works ( 3.2 M ) Cap, and Oregon Media Group ( !0 M ) Cap.